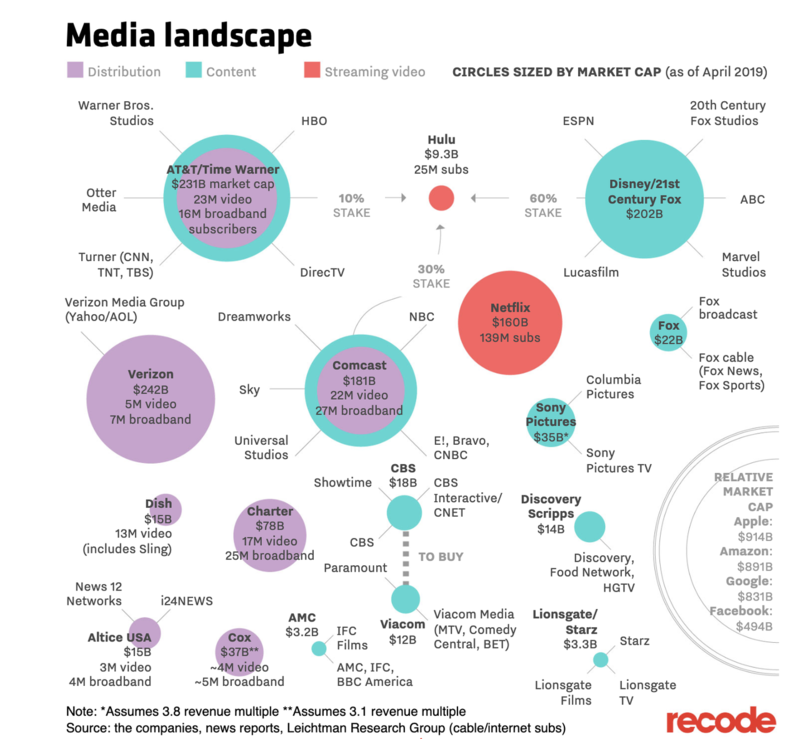 The media landscape has experienced enormous change since the advent of streaming services like Netflix. But that's not the only innovation that's changing the industry's longstanding corporate landscape. So-called "vertical mergers", where companies that distribute media content buy companies that produce said content, have led to a dramatic realignment that has drawn the ire of the Trump DOJ (which tried and failed to block the merger of AT&T and Time Warner), as distributors have sought to become media companies, too. Even more recently, Rupert Murdoch's 21st Century Fox sold the bulk of its entertainment assets to Disney, leaving the newly reorganized Fox Corp. to focus on its core news and sports offerings. And looming on the horizon are the tech giants, who are struggling to cannibalize the streaming market pioneered by Netflix. During last month's product-launch event, Apple debuted its new TV strategy, which positions its 'Apple TV Channels' service as a mix of TV guide, marketplace for its rival's services, and a studio that creates its own content - including partnerships with Steven Spielberg and Oprah. With so much happening, keeping track of the changing nature of 'Big Media' can get confusing. Which is why Recode has created this handy illustration laying out all the big players, their size and their relation with one another.